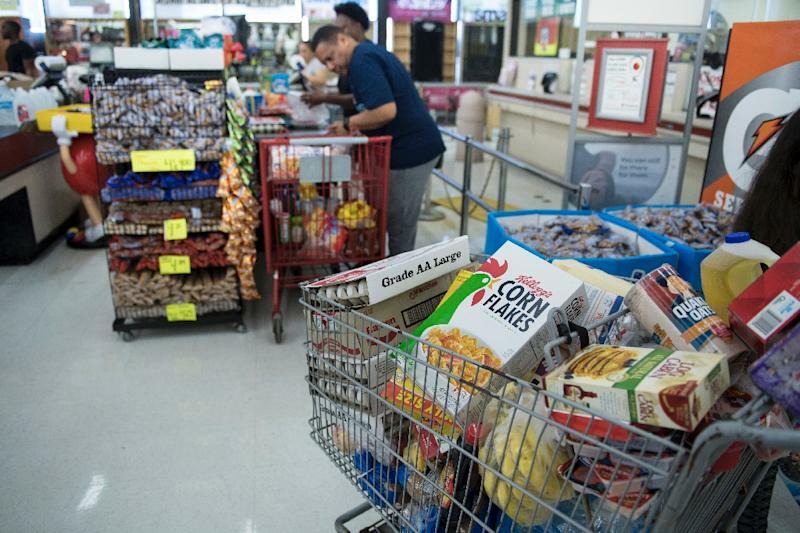 Washington (AFP) - A key measure of US inflation hit a six-year high in May, matching the central bank's target in another sign price pressures are finally rising, the government reported Friday. The long-awaited rise in the Personal Consumption Expenditures price index, the Federal Reserve's preferred inflation measure, came amid a slight slowdown in consumer spending last month, according to the Commerce Department. The weak spending could weigh on GDP growth in the second quarter, but incomes posted sharp gains. On an annual basis, the PCE price index hit 2.3 percent, the highest since March 2012. And excluding the volatile food and fuel components, the "core" PCE index rose two percent over 12 months, the highest since April 2012 and the first time it has hit the Fed's target. The Federal Reserve has signaled it is comfortable letting inflation run above target for a while, to compensate for the extended period of weakness during the current economic recovery. Price increases in May included strong gains for energy goods and services that were partially offset by falling food prices. The PCE price index rose 0.2 percent compared to April, for both the headline and the core. Meanwhile, disposable personal income rose 0.4 percent, or $63.2 billion, for the month, the largest gain since January. But spending rose only 0.2 percent, slowing from the 0.5 percent gain in April. In inflation-adjusted terms, expenditures fell by less than a tenth of a percentage point.